A great cycling themed bar at the foot of the Kemmelberg. Perfect for your pre-ride coffee or post-ride beer. Or maybe try the local speciality: Picon. 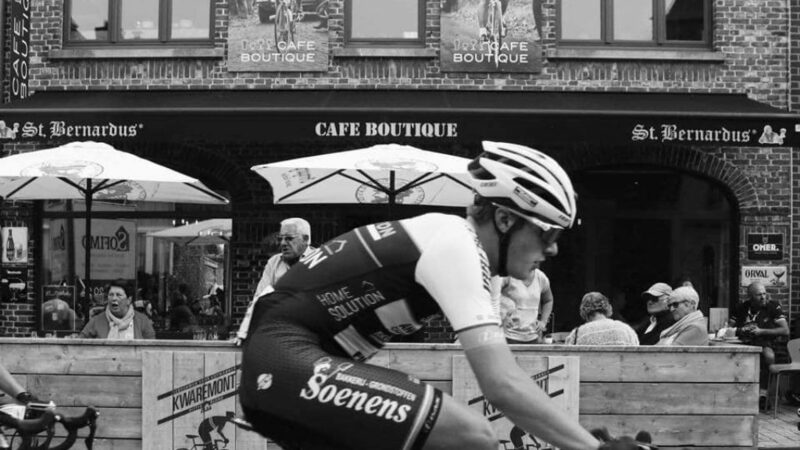 This bar is owned by former amateur cyclist, Pieter and is home to the cycling club 'De Vlammers'. 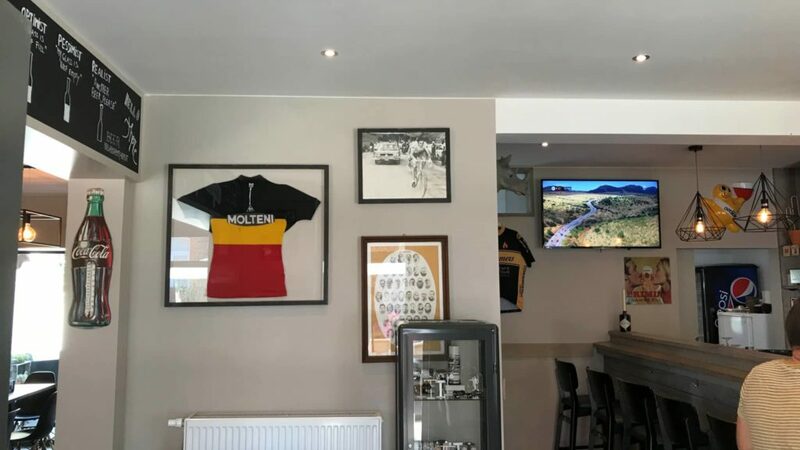 Inside you'll find an original jersey of former Belgian Champion, Herman Van Springel. And they show all the cycling races on television.